Mark Rothko was a twentieth century American artist. Art academia labels him an abstract expressionist. In his case, however, labels aren’t much help – at least not to me. 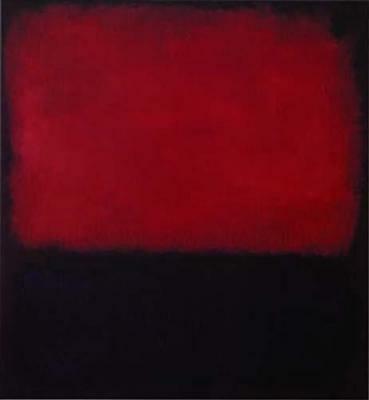 Rothko canvases are rectangles or slabs of colour. At first sight they often seem monolithic or blank; upon closer inspection the colour is layered and subtly varied in tone and intensity. But ‘inspect’ is the wrong verb, a far too cold and conscious and controlling verb. The observer is absorbed, rather; in the same semi-dazed or forgetful way he finds himself absorbed by the sky or the form of a mountain. The colours throb and quake, until it feels that the canvas is inspecting the observer instead of vice versa. Ancient building sometimes creates the same sensation – I’ve felt it at Tadmor and Resafah in Syria, at Persepolis in Iran, in the Hippostyle Hall at Karnak in Egypt. Or in old mosques, stupefied by columns and shadows, by the contradiction of space and constriction. Sumerian statuary also does it for me. I understand entirely why people worshipped statues or remarkable rocks or shapes; I do it myself, involuntarily. Or the larger part of me which has nothing to do with self or will does it. Perhaps the deepest part of me is always reacting like this to the world. Always has. 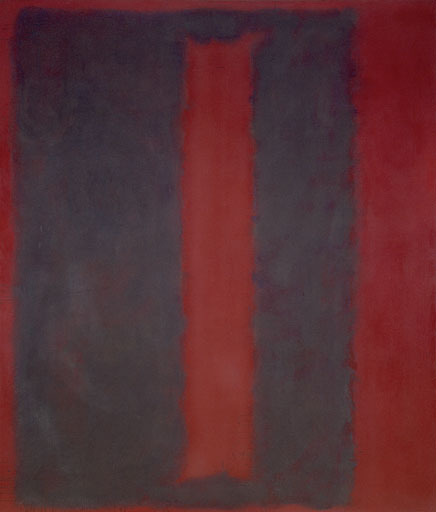 That’s why labels don’t help in Rothko’s case – he could as easily have emerged from the 20th century BC. To say that a landscape or metaphor exerts power over you is to say that the boundaries of the self have been breached. When you gaze cowlike at a Rothko canvas (reproductions do not quite qualify), you are not looking but sharing. Such sharing is the first religious or relinking urge, before the begging for eternal life or earthly reward, before gang identification. Before heaven or hell comes the strangeness of now as known by the awake unconscious. It isn’t intellectual. It isn’t something to be striven for. In his excellent little book ‘Sufism and Surrealism’, Adonis writes, “The poet tries to attain the unknown through the faculty of imagination – to see what cannot be seen and to hear what cannot be heard.” What the poet sees cannot be seen, because the poet must leave his own eyes and ears behind him.